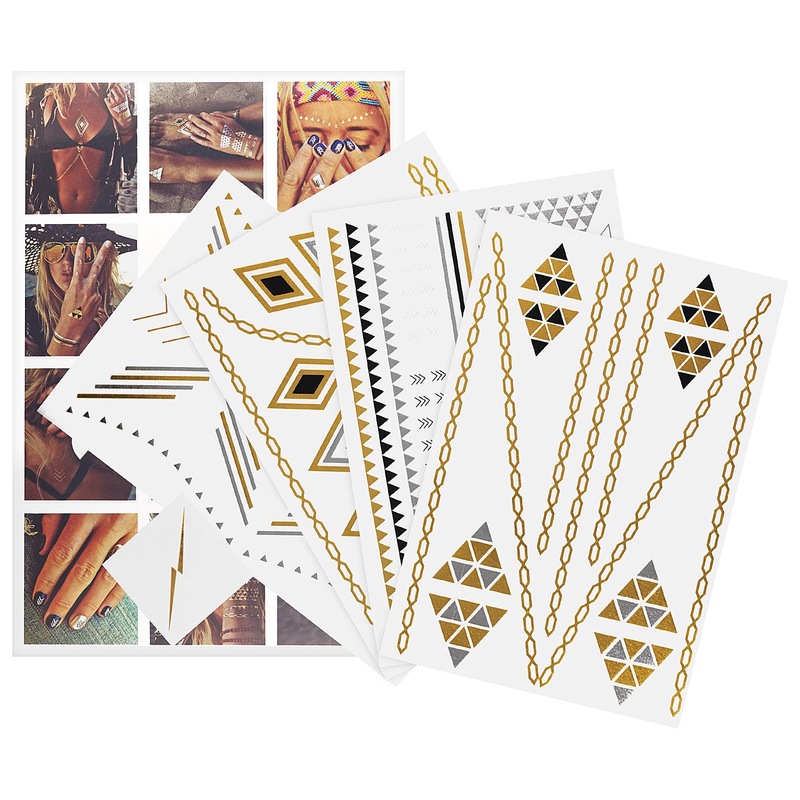 Jewelry Inspo – Flash Tattoos! 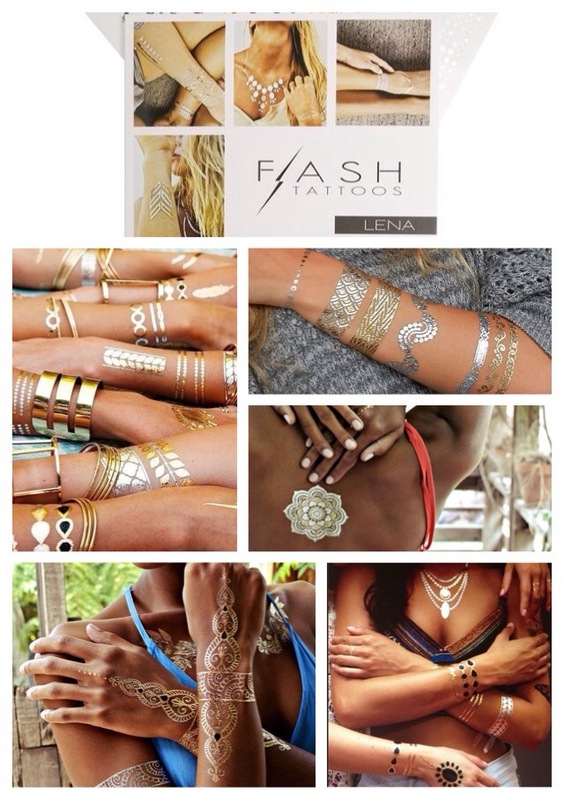 Flash Tattoos is the brand responsible for launching the jewelry-inspired temporary tattoo craze. 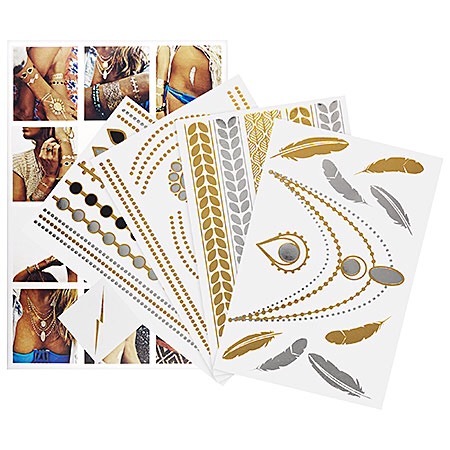 These metallic tattoos are original, innovative and perfect for all occasions (like holiday parties/festivities, weddings or sunny destination getaways). They can be applied to your feet, hands, arms, back, chest and even your nails…so practically anywhere! It’s non-toxic and safe to wear PLUS it can last up to 6 days. What a fun spin on jewelry! This set is geometric. It brings a touch of bohemian festival-inspired style to your look. This set is polished. It brings a touch of Parisian femininity to your look. This set is exotic. It brings a touch of gypsy-chic to your look. This set is eclectic. It brings a touch of boho couture to your look. This set is tribal and ancient Egyptian-inspired. It brings a touch of free-spirited inspiration to your look. Who said jewelry had to break the bank? 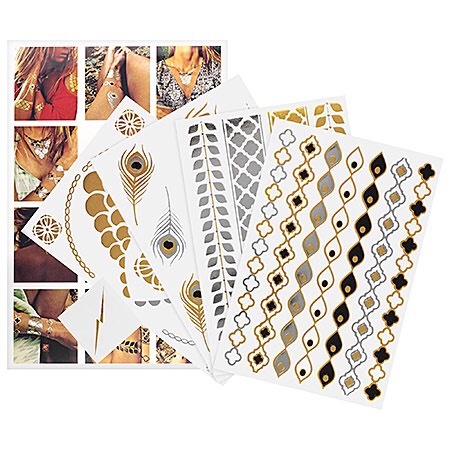 These Flash Tattoos can be yours for $22-30/set at Sephora.com. Most sets include 4 sheets of various metallic designs. It’s a perfect “gift/stocking stuffer” idea. 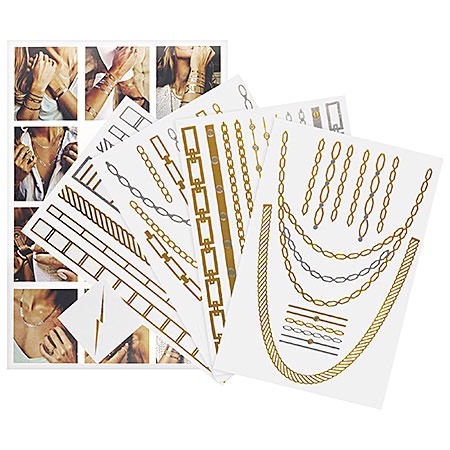 Will you be rocking metallic tattoos this holiday season!? « Think Thursday: Don’t Be Too Concerned With Others! I’m looking forward to seeing you rock the flash tattoos. I can’t wait to do so myself.